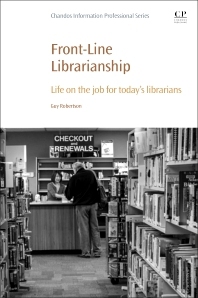 Front-Line Librarianship: Life on the Job for Librarians presents a diverse range of observations, viewpoints and useful commentary on the current workplace experiences of librarians and their associates. The book's author presents an unrivalled portrait of front-line librarianship that is based upon his unique experience and voice. Chapters consider workplace matters, the fate of hardcopy books, speechmaking at conferences, the effects of recessions on libraries, continuing education, and corporate gift-giving programs. This book will make an excellent and useful addition to library collections in library science.